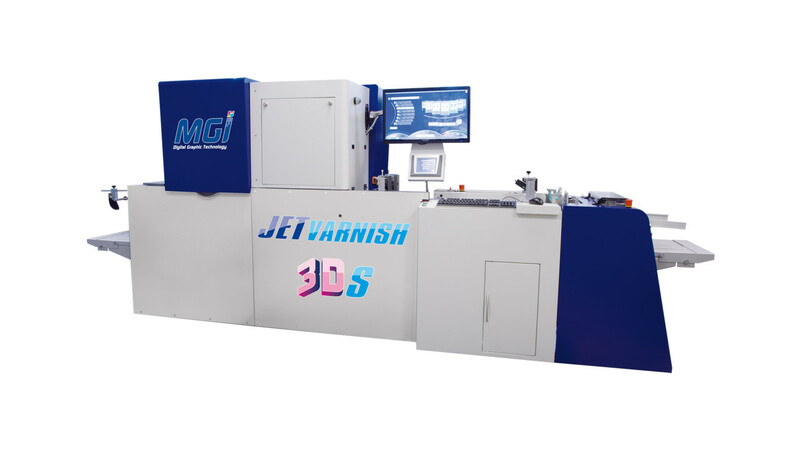 Industrial printer ( MGI Jet Varnish 3DS): The solution is a revolutionary piece of technology which disrupts the dimensions of printing with its astounding spot UV and 3D tactile varnishing capabilities. The machine can transform a standard printed output into a high quality spot UV printed sheet or further into a high margin 3D embossed output with a varnish of up-to 100 microns, making the colours look more vibrant. Accurio Press C6100: The Accurio Press Series C6100 is a comprehensive and fully modular line of digtal printing technologies & solutions, digital press suites, software and cloud based tool for integrating, managing and executing a seamless production color workflow. The Accurio Press series supports business growth by expanding its printing services, automating efficiency, raising output quality and lowering costs. Accurio Press C2060: The Accurio Press C2060 by Konica Minolta offer trend setting features and technology including a high speed dual scanning at speeds up to 240 ipm for hard-copy originals; 1200 x 1200 DPI resolution with 8-bit processing for smoother, more realistic images. Bizhub Press c71HC: The 3rd generation machine bizhub PRESS C71hc packs in immense benefits over its predecessor. This model incorporates advanced colour reproduction capabilities of the manufacturer’s proprietary high-chroma toner that produces enhanced printing outputs. bizhub PRESS C71hc also comes with an optional banner tray to support the printing on media up to 13×47. Bizhub Pro 1100: The bizhub PRO 1100 delivers real value to any print production environment – with high-speed 100 ppm B&W output, high paper and toner capacity, standard built-in print controller and compact footprint to save space on your production floor. KIP 770: The KIP 770 does it all: a monochrome printer offering full-color wide-format scanning of documents with fast throughput, high resolution and touchscreen convenience, accepts input from mobile sources and USB drives, handles multiple page sizes and paper rolls — all in compact design, with next-to-wall installation and innovative top stacking system.